Sometimes the force that Arthur Koestler called “the Library Angel”—something facilitating serendipity in searching for and finding books—stages some quite impressive little events. They’re usually impossible to convey to others, drawing in and connecting a diverse range of threads that pay no heed to divisions between your personal life and the more public pool of ideas that you love swimming in. In any case, such was my discovery of this deeply important work by David Kidner, a psychology lecturer at Nottingham Trent University. The 2006 London Anarchist Bookfair effectively saw the launch of Dreamflesh Journal Volume 1. I’d been struggling ever since I conceived the journal to better express the intuitions and dimly-felt network of relationships I sensed underpinning it, between my long-standing fascination with altered states and mind/body philosophy, and my on-and-off environmental activism. I was quite pleased with what I’d put together in the editorial (PDF), but knew there were many more protruding nails sticking out of my thesis that needed a good whack with some sharper insights. One of the most interesting arrays of books at the Bookfair was provided by Leeds-based re-pressed distribution, and Nature & Psyche in particular jumped out at me. The academic trappings gave me pause, as I have a low tolerance for such things, but a judicious flick through the bilbiography and index won me over. References to Owen Barfield, Norman O. Brown, Giordano Bruno, Bruce Chatwin, James Hillman, Julian Jaynes, Alfred Korzybski, Michael Taussig, and David Abram’s splendid The Spell of the Sensuous, taken together, constitute a recommendation to me. Nature & Psyche turned out to be a book that so perfectly dovetails with what I’m trying to achieve with Dreamflesh, it was wholly apt that I found it right at the point of launching; if it had entered my life as I was putting it together, it may well have stifled my ultimately fruitful struggling. Instead of releasing a journal, I may have just published a note with an image of Nature & Psyche‘s cover, subtitled: “What he said.” It not only conveys too many of the intuitions I’d been groping towards in recent years to detail here, it offers detailed explanations as to why these intuitions are difficult to grasp. Further, it contains an admirable awareness of and respect for the limits of consciousness and language in holding onto these feelings and amorphous ideas, at the same time as admitting to the necessity of approaching them. Given the positivist, materialist emphasis of modern society, any genuinely alternative vision will be materially unrealized and is bound to seem insubstantial; and it is important to realise that this insubstantiality is a necessary characteristic of any approach that escapes from the widespread materialist reductionism of our age. Kidner begins with a look at that crucial juncture in our history, the European colonization of the New World, where he finds clearly delineated illustrations of the growing European tendency to exploit and destroy nature with rabid rationality, and his key metaphor for what he calls “psychology’s betrayal of the natural world”. Just as Columbus refused to learn any of the indigenous American languages, insisting that the Indians learned Spanish, Freud later declared, “where id was, there shall ego be,” insisting on the translation of numinous unconscious contents into the linear language of consciousness. The colonization of the psyche and the colonization of the world went hand-in-hand. Crucial to the thesis is the relationship between nature and culture. Rejecting any attempts to “transcend” or just conflate these two poles, Kidner stresses that we shouldn’t be misled by the nature/culture dualism that industrialism has artificially crystallized out of the very real—but much more flexible, less calcified—distinction between the two. 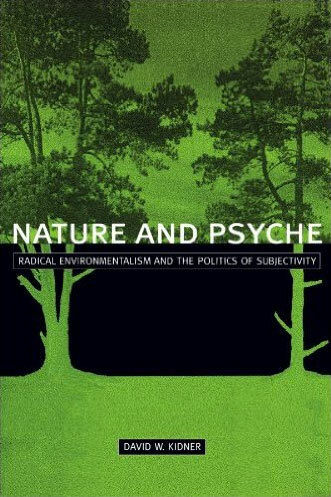 He strongly attacks postmodern constructionism in the social sciences, wherein the idea of “the natural” is problematized out of existence, leaving humans wallowing in a dry, anthropocentric network of “texts”. He has just as little time for modern biologism, which manages to reduce our experience of the world down to rigid abstractions of material reality, and sees subjectivity wither into insignificance. Both, he argues, are symptoms of the industrialist mindset. Ultimately he sees culture—at least, healthy culture—as the human articulation of nature. Order—usually seen as the province of culture—is not alien to nature; nature contains such an abundance of order that it furnishes us with more than enough templates, roots and foundations for any number of cultural embellishments that can still function in ecological balance with the natural world. Linguistic theory, for instance, usually assumes that words, as a rule, are only arbitrarily related to what they signify. Strong evidence against this characteristically modern assumption can be found in Abram’s The Spell of the Sensuous and Philosophy in the Flesh by George Lakoff and Mark Johnson. Recovering the roots of language in the felt, perceived world seems to be a key step in dispelling the illusion that culture elevates us above the world rather than—when properly wielded—articulating our embeddedness. Of course, this illusion of elevation has a way of concretizing itself. Like a troubled spirit clawing its way into incarnation, it has galvanized us in our excesses of constructing our own alienation in forms of glass and concrete. Kidner’s wide-ranging analysis gathers tremendous weight through his solid grasp on the linguistic tools of academia on the one hand and, most importantly, his measured, easy respect for their limitations on the other. Few other writers have written on such a complex topic with as finely honed a sense of rationality—honed in the sense that rationality is correctly recognized as a potent force in itself, prone to paradoxically irrational excesses if let loose without limits. Perhaps the main criticism that can be levelled at this work is that it is written in a form that is singularly ill-equipped to deal with its subject matter (such as our inarticulate encounters with the subtle complexities of ecological relations). [I]f we are to recognize the intelligence of the natural world—as opposed to imposing a conscious rationality on it—then we have to become familiar with the subversive languages of the unconscious, and the subjective states which this requires. … Nature’s structure is, in a healthy world, that of the unconscious, invoking multiple meanings, ambiguity, and symbolism. One senses the limitation of the form in how Kidner loops back over increasingly familiar themes, over and over in some cases, trying to tease out another aspect in each case. Occasionally this risks boring the reader, but generally the prose is packed with enough striking insights to keep anyone with a modicum of tolerance for academic works breezing along. And in the end I feel Kidner’s attempt is valid, or at the very least, self-consistent. 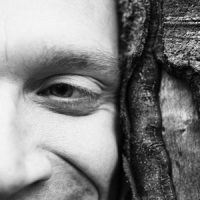 An approach that advocates tackling our intertwined psychological and environmental dysfunctions through a rigid rubbishing of the intellect and all-out advocacy of more “instinctive” activities could be seen as exactly the kind of simplistic reaction that Kidner senses to be part of the problem. The split is maintained, and ecological harmony—between all the faculties we possess as much as between ourselves and the rest of nature—vanishes beneath an exciting, but illusory, veil of supposed “naturalness”. Political and economic realities are keenly represented, including a fascinating study of Brazilian sugar plantation workers, showing how these often brutal, exported fringes of the industrial project affect power relations and psychosomatic manifestations. This book won’t be everyone’s cup of tea. However, it should be read by everyone with an active, searching intellect, and some concern for the environmental and psychological woes of our age. If industrialism has picked apart the fabric of the world—a fabric that is simultaneously physical and subjective—then academic writing must extend beyond a gloomy commentary on this dismemberment, actively promoting a vision that would reweave the warp and weft of materiality and subjectivity into the wholeness of the world. If we succeed in this aim, then theory can be fully embodied, articulating the pain and protest of the natural world as it is destroyed by industrialism, and obstinately holding out a vision of integration between psyche and materiality that can catalyze the realization of this integration. Nature and Psyche by Gyrus is licensed under a Creative Commons Attribution-NonCommercial-NoDerivatives 4.0 International License.